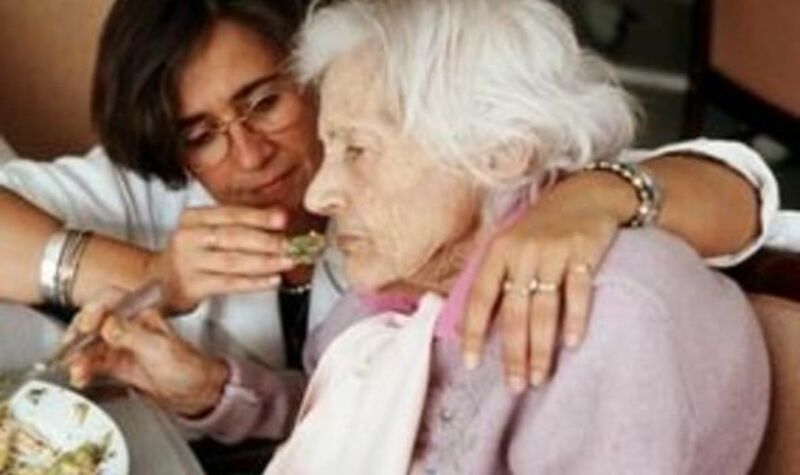 People who have degenerative brain diseases, such as Alzheimer’s, other dementias, Parkinson’s disease and Amyotrophic Lateral Sclerosis (ALS or Lou Gehrig’s disease), often develop swallowing problems (dysphagia) as their disease progresses. This is because the degeneration of the nerves and their complex connections often spreads throughout a person’s nervous system. Why does swallowing become a problem? We take swallowing for granted until we have trouble doing it. Most of us have experienced an episode of choking when food or fluids enter the trachea (windpipe). This is called aspiration, and our lungs respond with a fit of coughing to clear our airway. Swallowing is a complex action that requires the sensory and motor parts of our brain to work together. When we eat and drink, the brain senses food and fluids in our mouth, moves them safely into the esophagus, and protects the trachea at the same time. Food or fluid then moves down the esophagus into the stomach. Swallowing requires 40 muscles working together with both the sensory and motor parts of the brain. A degenerative brain disease can affect a person’s ability to swallow in different ways, depending on which parts of the brain are affected and how quickly the disease progresses. When swallowing begins to fail, it signals that a person’s degenerative brain disease is at an advanced or life-threatening stage. Serious infections (pneumonia and lung abscess) develop in the lungs when food and fluids are aspirated into the airways. Almost half of patients with dementia who develop “aspiration pneumonia” will die within the next six months. Oral or intravenous antibiotics may cure pneumonia, but the more frequently infections occur, the more likely antibiotics will be ineffective. This is because the person is repeatedly aspirating either food and fluids or saliva, which is an indication that the disease is progressing. In order to clear pneumonia, antibiotics need the help of an effective cough and a strong immune system, both of which are lacking in this phase of illness. Also, with each infection, the person becomes weaker and can harbor more resistant organisms. Complications such as a C. difficile infection in the bowel can arise from repeated courses of antibiotics. To reduce the risk of aspiration, a speech language pathologist (speech therapist) or occupational therapist with training in this area first conducts a swallowing assessment. Once the specific swallowing problem is identified, the pathologist or therapist recommends strategies for preventing aspiration. 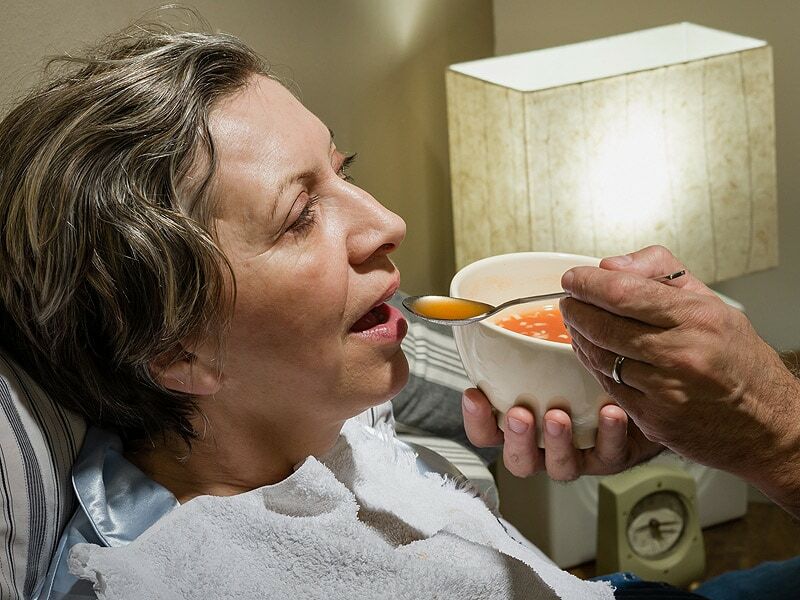 Ensuring that the person is awake, sitting upright and concentrating on eating or drinking is essential for reducing the risk of aspiration regardless of the swallowing problem. Avoiding foods that are particularly difficult to swallow can prevent choking. 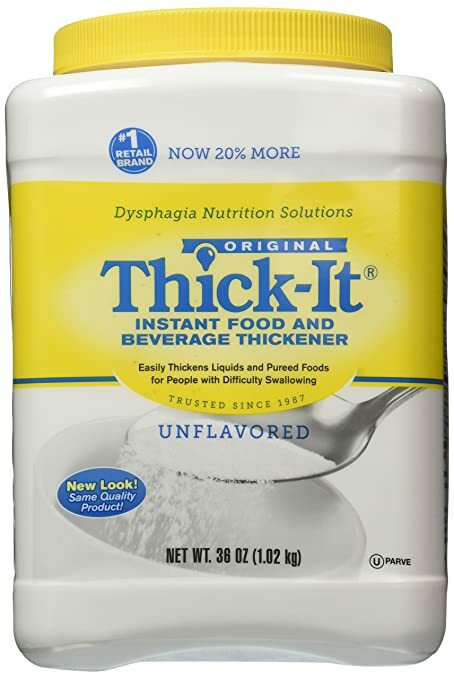 Changing the texture of other foods (for example, by mincing or pureeing) and thickening fluids can make them easier to swallow safely. Despite these measures and vigilant feeding by family or staff in a facility, aspiration and infection can still occur. This is because swallowing problems worsen over time and a person’s chest muscles become too weak to cough. As a result, he or she cannot expel fluid or food, and the airway is unprotected. When this occurs, it is called “silent aspiration.” Saliva too can be aspirated, and bacteria in the mouth can cause infections in the lungs. 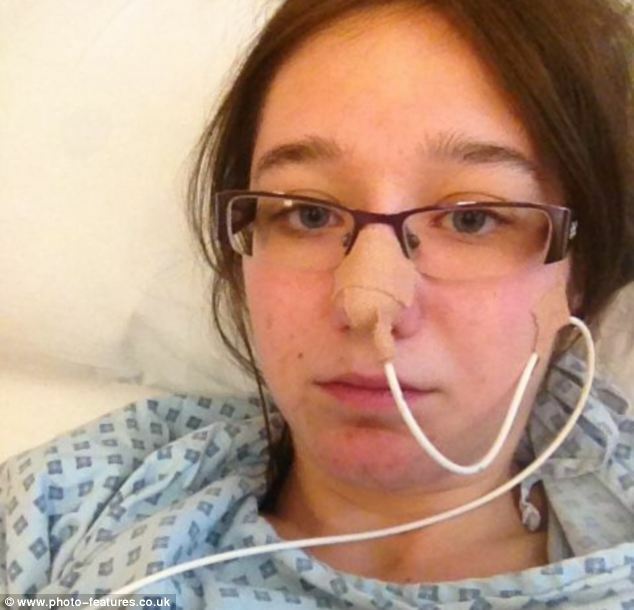 Is a feeding tube helpful? Recurring infections and more trouble swallowing signal advanced degenerative brain disease. Often by this stage, the person is no longer able to understand his or her medical issues. Family members are often asked to step in to decide whether their loved one would accept a feeding tube. A temporary feeding tube is passed through the nose and into the stomach. Rarely is a temporary tube used for more than a few days, because it is uncomfortable and easily pulled out. A long-term feeding tube called a PEG tube (percutaneous gastrostomy tube) is surgically inserted. A scope is passed through the mouth and into the stomach. It presses the stomach against the abdominal wall and a tube is passed from outside the patient’s body into the stomach. With PEG tubes, there is a one-in-ten chance of painful ulcers, infection or tube leakage at the abdominal wall. There is a three-in-a-hundred chance of severe complications, such as serious bleeding, perforation of the bowel, secondary pneumonia, or breakdown of the abdominal wall. How effective are feeding tubes? Many family members feel a feeding tube may prolong life, improve its quality, and possibly reverse their loved one’s degenerative brain disease. However, multiple studies show that people who have degenerative brain diseases do not live any longer with a feeding tube than a similar group of people who are fed carefully by hand. Studies also show that a feeding tube does not reduce the risk of aspiration. It is still possible to aspirate saliva and develop a serious pneumonia. The progressive weakness related to degenerative brain disease isn’t because of lack of intake. It is the outcome of the natural progression of the illness. The tube does not affect the progression of the disease nor does it improve a person’s quality of life. Many family members want a feeding tube for their loved one because they do not wish him or her to feel hunger. 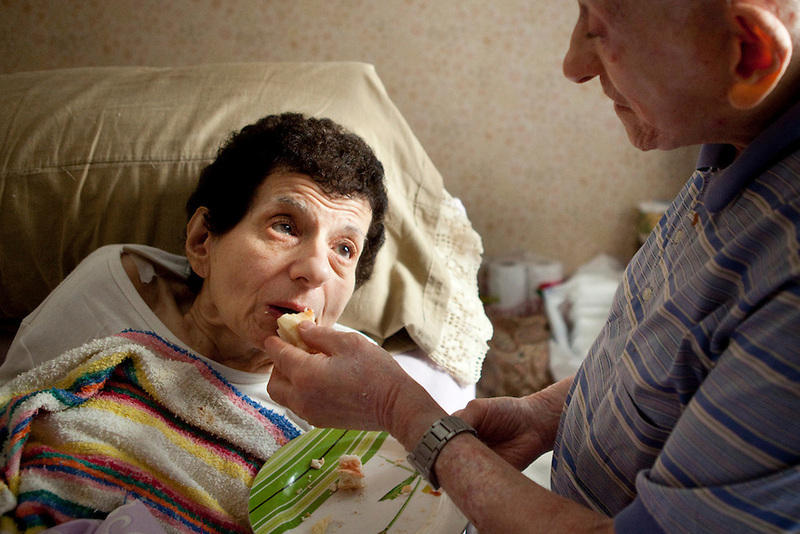 However, a person’s desire to eat lessens as end of life approaches. As well, many people with advanced degenerative brain diseases are not very active. They do not need as many calories as they did when they were mobile. While the feeding tube can get food safely to a person’s stomach, it cannot prevent aspiration of saliva into the lungs. As well, the feeding tube cannot prevent aspiration of food into the lungs if the person has gastric reflux (food passing from the stomach back into the esophagus because of a leaky stomach valve). Careful hand feeding has many advantages over tube feeding. It allows the person to still experience the taste of food and interact with others. Preserving these important parts of eating may result in a higher quality of life for a loved one. Careful hand feeding reduces the use of medications needed to treat the discomfort of the tube. Careful hand feeding is the simplest and most satisfying way for a person to continue eating. The recommended approach is small amounts of favorite foods. If the person refuses food, then basic mouth care is offered. How do you make the best decisions? Dealing with complex decisions in advanced disease can be very stressful for the family. So it is important for family members to support each other through these times. It also is not uncommon for family members to have differing opinions about what is best for their loved one. This is when it is essential for family members to focus on what they believe their loved one would prefer rather than on what they would wish to see happen. The health care team can help support families through these difficult conversations. Decisions at this time are best made with the health care team and family working together. The health care team can explain the options available for a loved one, given his or her stage of illness. The health care team can also outline what is and isn’t medically possible and appropriate. The family can give insight into what their loved one would prefer if he or she were able to speak for themselves. The Dying Process – A Hospice Social Worker’s Perspective On End Of Life Care provides a detailed exploration of issues pertaining to patient and family grief reactions, the duration and preparation for death, closure support needs, understanding pain, pain management and avenues to create a positive death experience for both the patient and family. 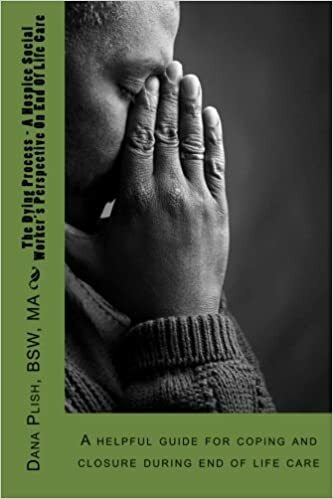 Over a decade of work in the hospice field, author and social worker, Dana Plish offers professional insight regarding his experiences with patients and families who are in the dying process. He elaborates on the process of death which impacts family coping, patient and family closure, barriers to acceptance, and examines negative and positive death processes. He concludes with ways in which family can aid the patient during life to death transition and support ongoing bereavement and grief needs. Dana comments on patient grief related to the loss of pets and supporting patient closure with their pets when possible. Dana has worked in the social services field for 30 years and he presents the subject matter in a simple, easy to read and understand format which serves as a practical guide for anyone who has a loved one in the dying process. Parkinson’s Disease Myths – Know the Facts!